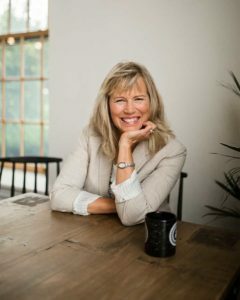 The Everyone Communicates, Few Connect Teleconference Mastermind is for women who want to be intentional about their growth and learn how to become more effective communicators. Instead of feeling disconnected, you’ll gain the tools you need to learn how to identify with others so you can have a deeper, healthier relationship. This 5-week mastermind is based on John C. Maxwell’s book and it will help you gain the tools you need to relate to others in a way that improves your relationships at home, work and in your community. Wouldn’t you like to learn how to relate to others more effectively? Are you tired of not getting the results you want in your relationships at work or at home? 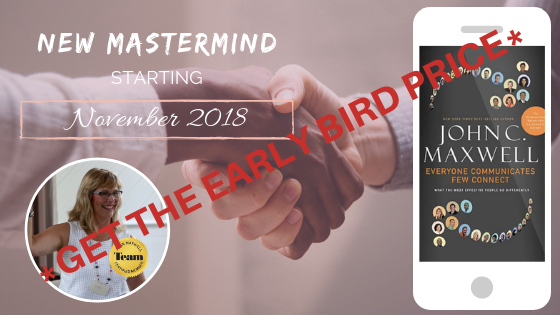 If you answered “yes”, then CLICK HERE now to get the early bird price and save your seat for the fall mastermind. The power of joining a mastermind is that we grow faster and go further together than we ever could on our own. Reserve your spot today so you don’t miss out on this incredible opportunity to learn how to develop deeper, more connected relationships.